Tags: bw2, weekend quest, goth, guitar. What's got you so cheery on this wet and weary weekend? Well, if you want to put that energy to good use helping out, these two goth visitors in the Commons have a quest for you. Be quick though, as they're only around for the weekend and will disappear at Noon Pacific on Monday October 12th. 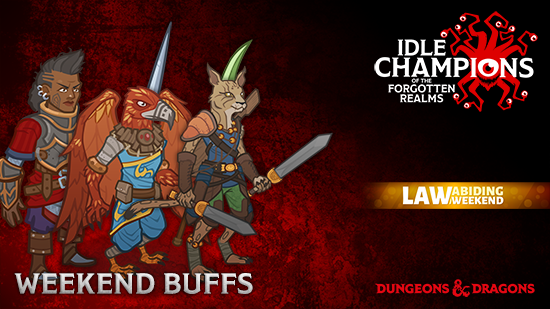 Also, this weekend we've updated the merchants on Amicus Isle with new stuff to purchase! Tags: idle, champions, early, access, promo, weekend, generally good. Good Champions always do what is morally right, although the way they do so varies based on their lawfulness (or lack thereof). 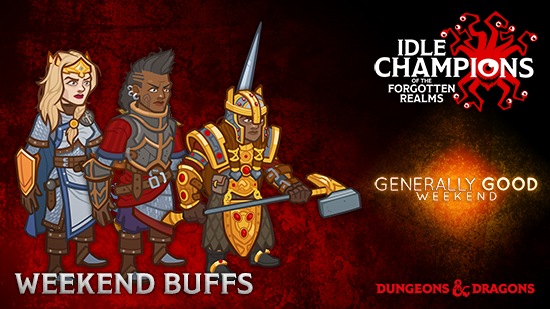 The three Lawful Good Champions buffed this weekend shall certainly do some good for your formation! 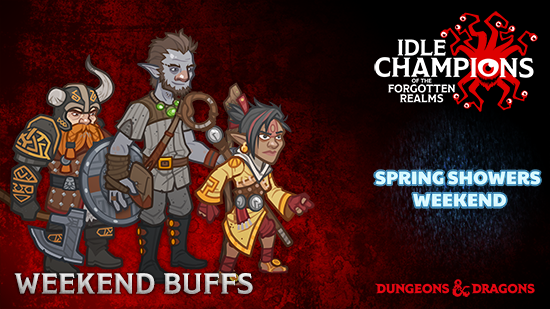 The following Champions will get a buff this weekend starting from today until Noon PDT on Tuesday, March 20th. Check out these limited-time Good Gold Chests that contain equipment for just the champions above!